The California Hat Company vintage American Flag cowboy hat is a sturdy product, a great design, and a good price all in one. This 100% straw hat is very rigid, and features a unique American Flag design, with a vintage tint. The brim measures 3" and has a large upturn of 2" on both sides. The 5" crown is embellished with a faux-leather band that has metal star studs in it. 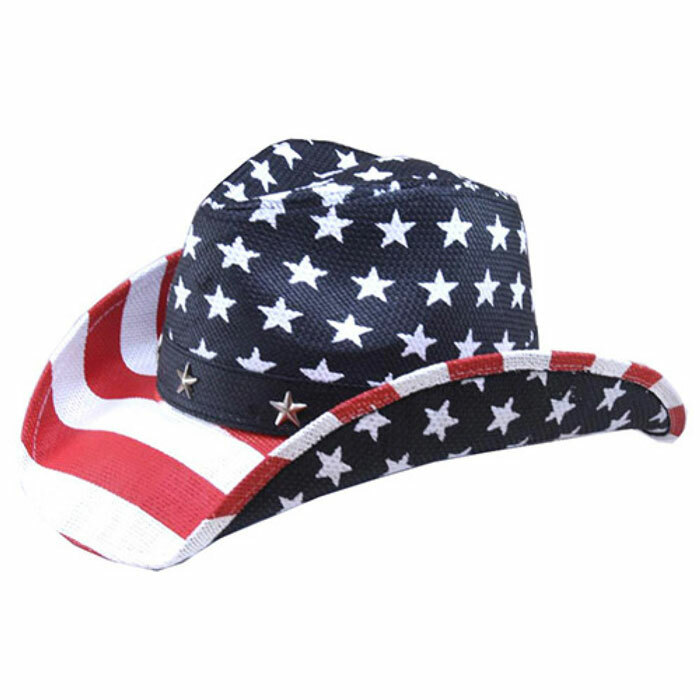 This hat is sure to show your American Pride! The inside of this hat is lined with a black fabric material, and features a soft and comfortable elastic sweatband for all day wear. To see this hat with traditional coloring, please click on the photo below!